Bobbie Socks is the only Recorded Grade in the barn. 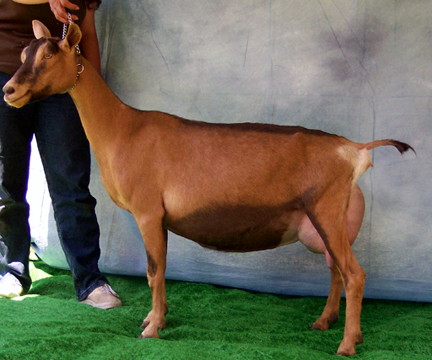 She is a lovely dairy doe, level across the topline, stands on correct feet and legs and has a tremendous will to milk. Socks has a capacious, globular mammary system boasting an extremely wide rear udder arch. copyright© 1996 Janbouree Toggenburgs - All rights reserved.